Heavenly Father, today we pray about Wednesday’s suicide bombing at Mawoud Academy in Kabul. We think of the 34 students who were killed and the many other students who were injured. Help the victims’ families and fellow classmates to cope during this difficult time of loss. Lord, we pray against the Islamic militant groups that carry out these acts of violence. May their future attempts be unsuccessful. Open their eyes to see the truth of who you are. Remove all evil and hatred from their hearts. Father, we know the importance of education and the opportunity it provides for a better future. We pray that you will keep all students and teachers safe. Encourage governments and school leaders to work together to increase security. 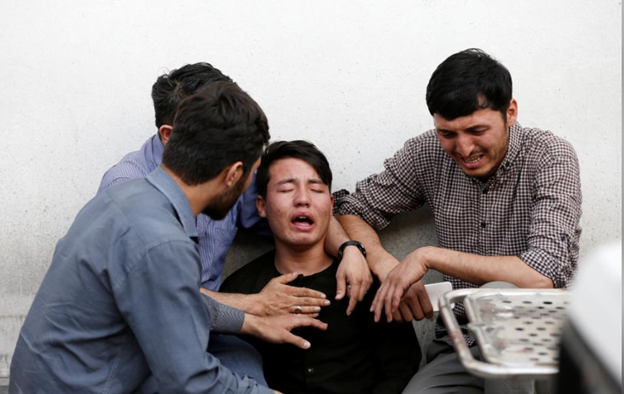 There have been numerous attacks on schools throughout Afghanistan alone, and we know that school violence is becoming more common across the globe. We pray that these senseless attacks will cease. In Jesus’ name, amen.